Just 5 years into her PR career, Neha Mathur Rastogi took a call that was unusual for her parents, a family of architect professionals. She decided to become an entrepreneur. With support from her family and her husband and his family, armed with a loan of 5 lakh rupees, Rastogi launched her own PR firm in 2009. Although apprehensive about branching out on her own, Rastogi was able to fully pay back the loan. The ability to sign a cheque of five lakh rupees within six months of setting up convinced her that she was on the right career track. 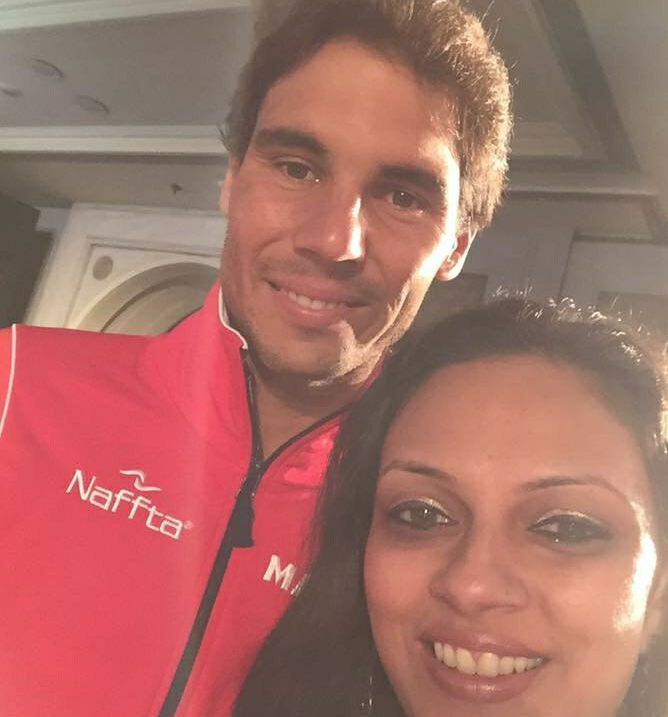 As WordWorks marks 10 years in the PR business and rebrands it overall look with a fresh new logo and website, PRmoment India spoke to Neha Mathur Rastogi on her journey so far, the need for holistic media training for sports players and management and who inspired her on her growth journey. After a one year stint handling corporate communications for the AI Team India, the Indian team of A1 Grand Prix, Rastogi realized that she enjoyed motorsports PR. Sports, in general, was also a bit of an unexplored niche for PR entrepreneurs. Says Rastogi that she decided to pick a vertical that was unexplored and exciting. Exposure to the Çommonwealth Games also gave her further inspiration to commit to sports communication as an important pillar of growth for her burgeoning firm. Rastogi also says she never faced any challenge as a woman working in sports, generally a male bastion in India. She says, "Honestly speaking, the pleasant surprise was how welcoming the clients were with no judgment on age or gender. In the last decade, I also became a mother and have two children and again have never faced any discrimination from clients. I do realize that this is not the experience of many women who work as entrepreneurs in PR. A lot depends on the kind of work you chose, as a boutique firm I had the flexibility to pick clients that are very international both in terms of their operation and outlook. The other vertical that Rastogi identified was luxury, the lifestyle element having a natural synergy with sports. Rastogi points out that sports do have a strong lifestyle element including one of entertainment. She also opined that "Luxury and sports such as golf and motor racing do have a lot in common." 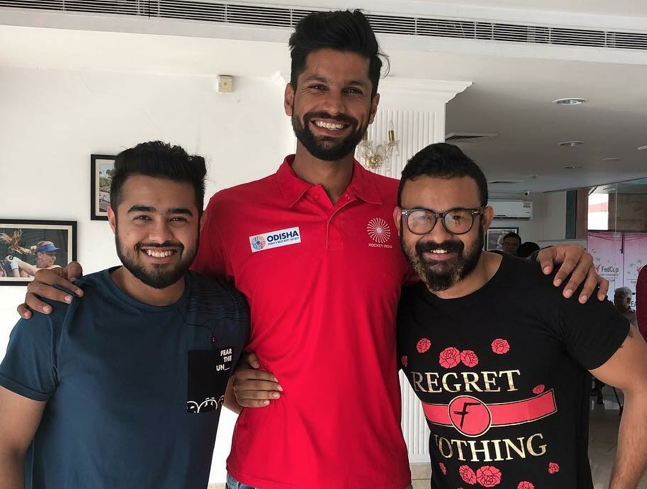 The recent controversy around cricketers Hardik Pandya and KL Rahul's comments on women on 'Koffee with Karan' demonstrates the urgent need for sensitization and media training for sports players. Rastogi says, "The incident has sparked off a conversation about what we have been crying ourselves hoarse about, the need for regular media training not just for sports players but for sports officials and management as well, anyone who may have to be in front of the camera"
Rastogi has regularly done media training for one of her biggest sports clients, Hockey India, the official hockey federation backed by the Government of India. She says, "Where sportspersons are concerned training has to be very personality based. When you do CEO training, there is already a level of confidence, when it comes to athletes sometimes they come from very humble backgrounds and they require support in learning how to handle interviews, how to be commercially viable image-wise. For this, they need very customized training that matches their personality, not a cookie cutter approach. So we show them interviews with sports stars such as Virat Kohli so that they understand how to handle themselves in front of the cameras." Commenting on sports stars that have come back from disastrous PR actions, Rastogi mentions boxer Mike Tyson as someone who has completely fixed his public persona. She says, " His PR was lethal. But he learned it the hard way and its' a marked change in his image and behaviour now. When that realization comes some of them can change, not everyone can." Rastogi adds, "Sometimes the training checkboxes can be very basic such as don't be abusive, don't make comments against women. They make seem very basic to us, but it needs to be outlined during training. Neha Mathur Rastogi says her firm has grown at a rate of 60% for the last two years. This year, WordsWork has also transited from being a proprietorship firm to a limited partnership firm. Rastogi says this year her priority is also to strongly invest in the digital space, especially in influencer marketing and build in-house capabilities for this. Commenting on the retainer challenge, Rastogi admits that growing retainers can be challenging. She explains, "While the newer firms are willing to look at raising retainers, firms in well-established spaces such as luxury tend to be unconvinced about growing PR retainers. However, one should also have a minimum retainer benchmark." Looking back at the ten-year journey, Rastogi says a number of people have helped and inspired her during this time. Genesis BCW founder and PR icon Prema Sagar is a constant inspiration, says Rastogi. She received a lot of support from current Ketchum Sampark president, Girish Huria when she first started out and from his wife Hina, saying that they were "literally parents" to her while she was growing her firm. Rastogi also says she admires Amith Prabhu for the work he has done and Nitin Mantri for his exemplary conduct as a PR professional.